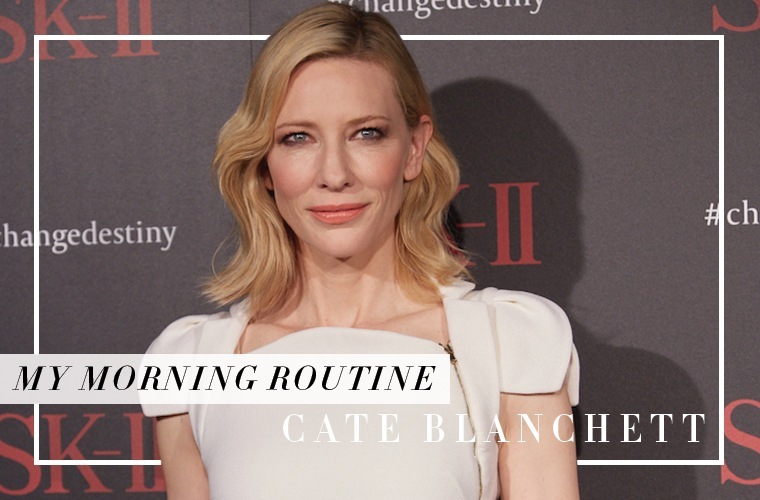 Welcome to My Morning Routine, where natural beauty Cate Blanchett and other good-life gurus share their personal (frequently surprising, often healthy) morning rituals—to help make your a.m.’s more awesome. I tend to go to bed quite late. I really like that moment when everyone is in bed and it’s silent and I can potter. I tend to have put everything out, done all the lunches and everything the night before. It makes it less stressful in the morning because waking up and yelling at your kids to get in the car is not a particularly nice way to start the day. I don’t have a lot of time in the morning. I mean, who does? I drink hot water and lemon, which is really virtuous, and then I have a coffee. That’s it—I cleanse and then I tox. If I’ve had a particularly late night and gone to bed with my makeup on, I wash my face in the morning, but otherwise I just tend to cleanse it at night. When I’m on stage or on a film set, I’ll use the oil-based cleanser [by SK-II], which is really like an eye makeup remover as well—it’s a lazy girl’s cleanser. I don’t tend to wear makeup in the morning, mostly because I’m lazy and time-poor. I put the essence on, the serum, and the moisturizer, and then if I’m in Australia I put on the UV protect essence. I was out for 15 minutes yesterday in the sun and it’s just so intense. You really do have to put on 50 SPF and you have to walk in the shade. [Mine is] a pretty straightforward [beauty] regimen. It’s a bit like when you drive home and you can’t remember how you got there. My skin care is like that. 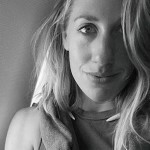 Get caught up with more healthy celeb news: See what this celeb designer has sworn off and this actress-entrepreneur just launched her own organic line.